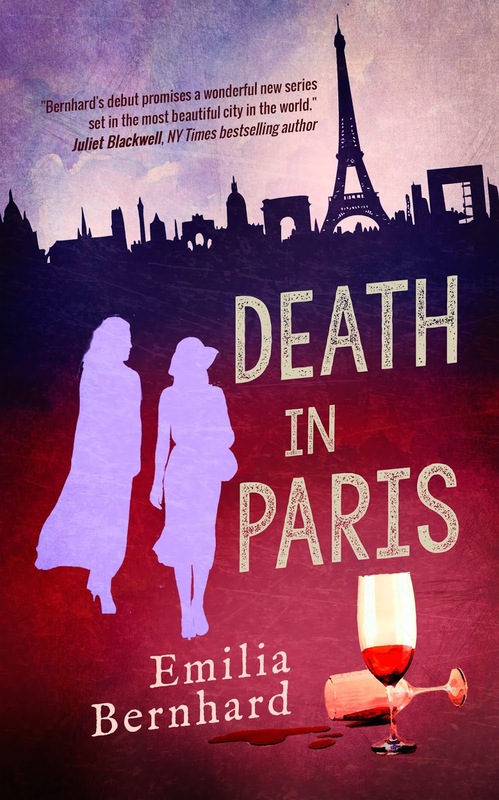 The only thing chillier than a Parisian winter is cold-blooded murder. When French financier Edgar Bowen drowns in a bowl of soup, his former girlfriend, American Rachel Levis, is alarmed by the unnatural death. Who dies eating a nice vichyssoise? But when she overhears a mourner at his funeral describing the circumstances of his death, something sounds even stranger: a bottle of rosé was on the dining table when he died. The only problem: Edgar loathed rosé. If he wasn’t drinking it, who was? After the police rule the death accidental, Rachel knows it’s up to her and her best friend Magda to investigate. As the two Americans immerse themselves in Edgar’s upper-class world, the list of suspects grows: Could it have been his son, who inherited his money and lavish apartment? His icy ex-wife? His greedy new girlfriend? His impoverished personal assistant? When Thistle Publishing first approached me to review this title, I confess I deliberated for a while. Mysteries are not my usual fare; however, I keep seeing these cosy mysteries everywhere in recent times, so I thought I ought to give one a try and see what all the fuss is about. Overall it was an enjoyable enough read. The prose was easy going, and I loved all the Paris references that reminded me of good times I'd spent in the city. The thing lacking for me was any sense of suspense. I never felt like there was much on the line for the two amateur sleuths, at least until the final confrontation. The book did keep me guessing on the perpetrator until about 3/4 through, when I started to get an inkling of who it might be. (I was right.) Nevertheless, if something had prevented me reading to the end and finding out who did it, I wouldn't have been devastated. Of course, this is not my usual genre, so it may be that the lack of high stakes are part of this genre's expectations, that readers want something light and free of tension. Therefore, what, to me, let down the book might appeal to long-time readers of these types of novels. Still, as I said, this was an enjoyable light read to pass a couple of nights. I'm glad I gave it a try, to get a sense of what cosy mysteries are like. However, I don't see myself becoming a dedicated fan. This book gets 3.5 stars from me, based on my personal enjoyment, but I imagine that aficionados of the genre would rank it higher, so in this instance you should take my rating with a pinch of salt.